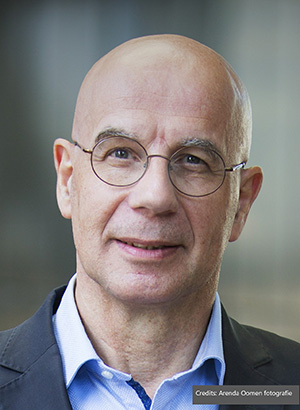 Paul Timmers, a visiting research fellow for cybersecurity policy and digital transformation at the University of Oxford, will take part at the 42nd International ICT Convention MIPRO 2019 by holding a keynote speech „Artificial Intelligence in Cybersecurity: Technology and Policy Perspectives“ within the plenary session on Wednesday, 22 May. In his talk, Paul Timmers will expose the good and bad of the interplay of AI and cybersecurity, the opportunities and the threats. This is one of the most relevant cases to understand how technology and policy interrelate in the digital economy. Recently the thinktank Atomium/EISMD and the European Commission held a large-scale debate about the future of the digital world. Europeans rated artificial intelligence (AI) as the greatest opportunity and the development that would most change our daily lives over the next 10 years. At the same time cybersecurity, privacy and surveillance were found to be at the center of concerns about today and the future. Apart from being a a visiting research fellow for cybersecurity policy and digital transformation at the University of Oxford, professor Timmers is also senior advisor at the European Policy Centre, a thinktank in Brussels. Until 2017 he was director at the European Commission for Digital Society, Trust & Cybersecurity, dealing with policy, legislation and innovation in digital health & ageing, e-government, smart cities/mobility/energy, cybersecurity and digital privacy. He was involved in EU legislation (cybersecurity, e-privacy, eID, CEF/Telecom, AAL), EU R&I and deployment funding of about 3 B€ and was co-lead of the European Innovation Partnerships on Smart Cities and on Active & Healthy Ageing. Paul was also interim member of the EC’s impact assessment / regulatory scrutiny board (2014-2016). As member of the Cabinet of Commissioner Liikanen (2001-2003) he dealt with telecommunications and information society policy. He held various academic positions and has a long-standing interest in business models, being one of the most cited authors on e-business models worldwide. He worked as a manager in a large ICT company and co-founded an ICT start-up. He holds a PhD in physics from Nijmegen University, the Netherlands; an MBA from Warwick University, UK; was awarded an EU fellowship during which he studied sociology and ageing at UNC Chapel Hill, USA and completed executive cybersecurity education at Harvard.